Noah and I both love cats. We are definitely cat people. A couple years ago I learned about Pusheen from Facebook stickers. I didn't realize she had a name. I was more surprised when Noah knew who Pusheen was. He ended up getting his first Pusheen for Christmas. After that it was a snowball effect. We have all kinds of Pusheen items. Pusheen comes from the Irish word cat. I am fairly sure he didn't know about Pusheen when we got our cats or Stormy would have been named Pusheen. Oddly enough Pusheen's friend is named Stormy. Our Stormy was named because he's gray like a stormy day. Growing up, I loved to color. I would occasionally color as an adult with Noah. The whole adult coloring book craze happened and I wasn't really interested. 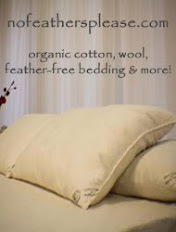 I know many people love it. I was just kind of neutral. Until the Pusheen coloring book was created. I knew Noah and I would love to color together. It also helps with eye-hand coordination and learning to slow down and taking your time. It's also really relaxing. I think they need to sell Pusheen coloring utensils. 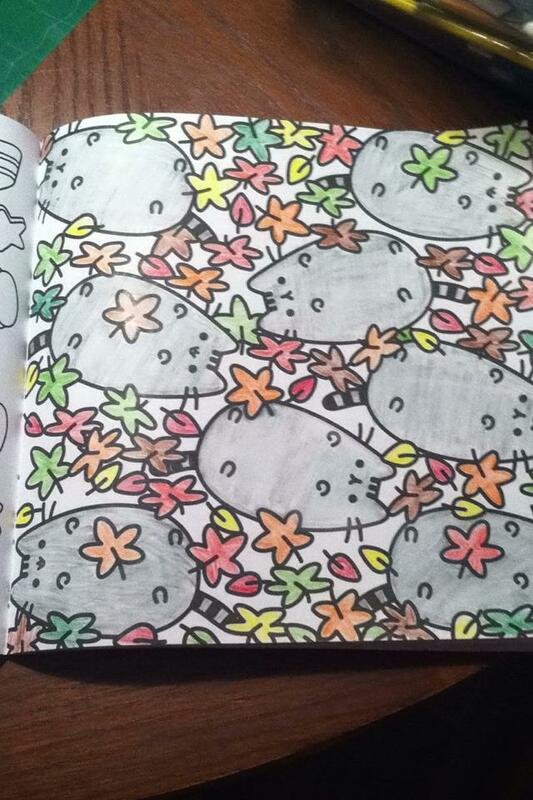 I spent two hours coloring a picture of a bunch of Pusheens playing in leaves. I did have to shoo away Noah a few times because he wanted to help me color. He's good at coloring, but I had a definite vision for this work of art. 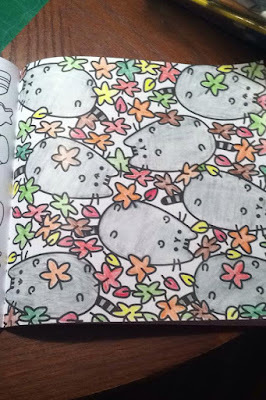 The Pusheen Coloring Book is by Claire Belton. Noah had been eyeing I am Pusheen the Cat for a really long time, so we were familiar with her work. Noah ended up purchasing I am Pusheen the Cat at the book fair. It contains 96 pages of adorable Pusheen and Stormy. The pages are big and there's a lot of details. 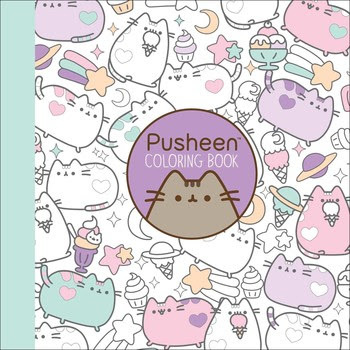 The Pusheen Coloring Book comes out on October 25, 2016. It's available on Amazon, local book stores and Simon & Schuster's website.